Writing: What Makes A Good Editor? 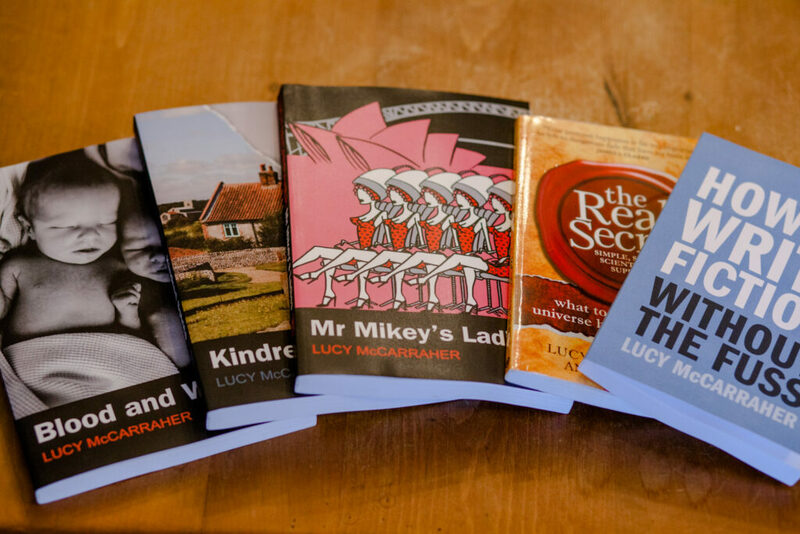 Drawing on her own experience of learning the skills required to be a good editor, Lucy McCarraher, Managing Editor of Rethink Press, defines the qualities that indie authors should look for when seeking an editor for their own books. I fell into editing by mistake. While I was taking a degree in English and Drama in Australia, planning to become an actor and writer, I fell in love with Australian theatre and, with two others, started a monthly national magazine. Aged 21, a Pom who hadn’t long been in the country and had only ever worked on student newspapers, I became the Executive Editor of Theatre Australia, managing, editing, and often rewriting the contributions of well-known theatre practitioners, critics and journalists. I soon discovered that practical people skills, in person and on paper, were essential to an editor’s job. Copy had to be cajoled out of deadline-hating regulars; scruffy, hand-written notes had to be typed up into elegant prose; some changes had to be so subtle that the most precious writers wouldn’t notice the difference from their original submission; and feedback had always to be positive. These interventions had to be performed without expectation of praise because, like a top tailor, a professional editor makes their clients look their best in the eyes of the world without drawing attention to themselves. When I returned to England eight years later, I worked as a freelance editor for Methuen, and then became a writer and script-editor for television. One of my script-editing projects was a children’s series called Runaway Bay, which starred a young Naomie Harris as well as actors like Craig Charles, John Woodvine and Cathy Tyson. It was set in Martinique: three summers in the Caribbean were the best editing perk I’ve ever had! But it was a French-English co-production, with half the episodes written by English-speaking French writers and half by British writers. The difference in quality, tone and style between the 18 scripts was vast, and part of my job was to bring consistency and compliance to the guidelines of both French and English Children’s TV broadcasting. A few years later, I began writing my first novel and was put in touch with an eminent editor who offered to go through my initial chapters. I was excited to see her improvements, but found in the returned manuscript that she had turned my style into bland ‘literary’ prose, removed anything contemporary sounding and all contractions, even in dialogue. I hadn’t set out to write a classic, but this convinced me I couldn’t write, and the draft got consigned to a bottom drawer – until I submitted the original version to Richard and Judy’s Novel Competition and it was then published by Macmillan, with almost no changes. When I started to edit other writers’ fiction, I was especially careful to maintain their author ‘voice’, especially with writers who could tell a great story but had a tenuous grasp on grammar, punctuation and spelling. This could sometimes mean replacing/re-ordering/re-punctuating most words in most sentences to create a Standard English reading experience, without losing their style or momentum. Having done exactly this for one novelist, I returned her a ‘tracked’ edit and an ‘accepted’ version where she only saw the finished result. She totally ignored the mass of red inline edits in the tracked version and emailed me to say she was pleased to see, after a break, how good her writing was; she hadn’t been sure when she’d sent it off to me. I don’t think she ever understood how much work went into making her writing so good – or probably what she paid me for. When you’re looking for an editor, talk to them and to other authors they have worked with. If you and their other clients are confident they have these qualities, be prepared to pay them a decent fee for an incredibly valuable service. What do you look for in an editor? Are there any points you’d like to add to Lucy’s list? Any warning signals to share? Feel free to join the conversation via the comments box! 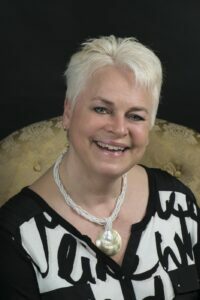 Lucy McCarraher is the author of three novels and four self help books, including "How To Write Fiction Without The Fuss". She is Managing Editor of Rethink Press, and Publish Partner of Key Person of Influence. She has a Diploma (DTLLS) in teaching Adult Literacy and Creative Writing. More on www.rethinkpress.com. 9 Responses to Writing: What Makes A Good Editor? But who do I go to when I don’t know who to go to? I have a finished book..a love story, a memoir about signs, a story about love that reaches out after death and no idea who to take it to for editing. I am open to all genres and charge by the word, not by the hour. Get in contact soon to book an edit for this year. Thank you Lucy for a great blogpost. It helps to know that there are great editors out there who can guide you while keeping your true voice. I may be needing, by the end of the year, an English editor familiar with the British language and customs of the 1920s in England. Interesting blogpost. Thank you, Lucy. Another point to make is that if you are writing historical fiction, or even the sixties and seventies, very young editors don’t always know the language of the time. Or they will insert a modern expression which is a complete anachronism, but they don’t realise. That sort of thing is hard to check until they’re appointed and actually working on the ms.
A good and useful article, which was particularly relevant to me, because I’ve spent the past year editing, doing the artwork for, and publishing a personal memoir for someone who badly needed the help (for free), after spending four years writing his book. What you have said is excellent, and particularly the points about interpersonal skills and retaining the author’s ‘voice’. I found the experience hard work, but interesting, and best of all, the reward is a very happy author, whose book has every chance of being widely read and appreciated. You are so right, too, in saying that experience is important. I had a steep learning curve when writing my own novels, and many struggles with trying to find good editing help, but this experience made it possible to empathise with and assist this particular author, who has his own very unique voice and which has been fully retained, even though it in no way resembles mine and even though the original manuscript was heavily edited three times. My editor does a lot more than that! First, she does a structural edit, ironing out problems in the plot, story line, pacing, emotional resonance etc. etc. Then she checks for historical accuracy in respect of factual items, terminology used and dialogue (in my historical fiction), covering the accuracy (and quality) of the prose as she goes. She questions everything. She is amazing. JJ, there is another post on this blog about the technicalities of editing and the different types of edit, such as structural, copy edit and proofreading. This post is about the personal and professional qualities a good editor needs – for all types of editing task – rather than the tasks themselves. A good editor should always interrogate the manuscript and the author.